Veterinary nurses are one of two key professional roles delivering medical care to animals, the other being veterinary surgeons. To be a veterinary nurse, you'll need to have successfully completed a course accredited by the Royal College of Veterinary Surgeons (RCVS). As a veterinary nurse, you'll be involved in hands-on nursing care of a range of animals, providing both emergency and routine healthcare. You'll work alongside veterinary surgeons to promote animal health and welfare through responsible ownership, and play a key role in the education of pet owners. General practice (first opinion): first line care of animals including vaccinating, neutering, worming, health checking and diagnosing diseases. Referral practice: specialist practices that tend to see the more complex cases. Examples include orthopaedics, oncology and ophthalmology. In some cases, these may be species specific, e.g. canine, equine or exotics. Emergency practice: practices that typically operate overnight and at weekends seeing urgent and critical cases. work to the professional code of conduct. As a nurse working in a referral or emergency practice, you may specialise in one of these areas in particular, depending on the practice and your own interests. The average entry-level salary for a qualified veterinary nurse working in practice is £20,588. This varies by location and type of practice. You may receive additional payment for out-of-hours work, an accommodation allowance and other benefits including discounted/free pet foods or veterinary treatment. With experience, additional responsibility or extra qualifications, higher salaries are available, up to around £28,665 (the average is £24,500). Income data from the Society of Practising Veterinary Surgeons (SPVS) 2015 Salaries Survey. Figures are intended as a guide only. As a full-time veterinary nurse, you'll work an average of 39 to 49 hours per week. However, you may work longer hours depending on your role. You should bear in mind that you may be required to work unsociable hours, including weekends, bank holidays and possibly overnight cover. Part time and locum (temporary) work is also an option within this profession. Every day will bring different challenges but this variety is one of the most enjoyable aspects of the role. The job is physically demanding. You'll be on your feet for much of the day and may be involved in lifting and restraining animals. Practice hygiene tasks, including disinfecting kennels and sterilising surgical equipment, is an important and integral part of the role. As you're required to be hands-on with a range of animals, bites and scratches are a potential risk. You'll play a key role supporting pet owners in making (sometimes difficult) decisions regarding their animal's care and wellbeing. A Bachelors degree (BSc) in veterinary nursing (typically a four-year course). If you already hold a degree-level qualification in another subject, or are looking for a more vocational approach, you may also consider a Level 3 work-based Diploma in veterinary nursing, which takes usually two and a half years to complete. For this option, you'll need to be employed by a veterinary practice before enrolling on the course. All three routes will provide you with qualified veterinary nurse status and allow you to register to work in the UK. If you're interested in teaching or research, a degree level qualification may be required, so it's worth considering this when choosing which route to study. RCVS publish a list of accredited higher education courses and further education courses. You'll need to register as a veterinary nurse student with RCVS and this will usually be done once you've enrolled onto an accredited course. Regardless of the study route you choose, you should check the entry requirements for each course as these vary, but will almost certainly include relevant work experience and a form of interview. Once qualified, you will need to maintain your professional status as an RCVS registered veterinary nurse by undertaking continuing professional development (CPD). that you can stay calm and composed in stressful situations, and work well under pressure when dealing with emergencies. In order to apply for any of the accredited courses to become a veterinary nurse, you'll need to have already completed relevant work experience. 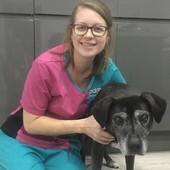 This will include spending several weeks in veterinary practice and may involve additional animal related work experience, for example working in a rescue centre. Some courses will allow you to complete your veterinary practice work experience as individual days, whereas others may require week-long blocks. While weekend work experience is beneficial to understanding the role, many courses will not count this towards the pre-application required work experience. Securing this work experience will be challenging. Due to the popularity of veterinary careers, there's a lot of competition for work placements. You'll need to allow time to source and complete your placement, and you should be prepared to approach a number of practices. Speaking directly to a veterinary nurse at the practice may be more successful than simply emailing your request. It's worth attending open days and seeking advice from different courses to ensure you fulfil the course specific entry requirements. Most veterinary nurses are employed by veterinary practices, which can include private, corporate-owned and charity clinics. There are also specialist employers, providing only emergency care or specialising in referral cases. Some veterinary nurses work in rescue centres and animal charities. Outside of practice, there are other areas of employment including education, research, animal rehabilitation, and the armed forces. Some veterinary practices are now owned by large national corporations and they will use their own recruitment websites. Once you've qualified, you'll be able to register with RCVS as a registered veterinary nurse (RVN). CPD is an essential part of ongoing RCVS registration - you'll be required to complete 45 hours of CPD within a three-year period. CPD activities can include attending training courses, seminars and lectures, being mentored in your practice or carrying out research or critical reading of relevant journals. Find out more at RCVS Continuing Professional Development. Membership with the British Veterinary Nursing Association (BVNA) will provide you with access to CPD, seminars, events and a monthly professional journal. 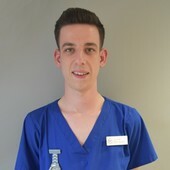 Once qualified, you can undertake additional qualifications including the RCVS Advanced Diploma in Veterinary Nursing. You'll need at least one year's experience since qualifying and you can study at your own pace while working. There is flexibility in the modules you choose and you can work towards awards in small animal or equine nursing or veterinary nursing education, depending on your interests. Find out more about the RCVS Advanced Diploma in Veterinary Nursing. There are also various postgraduate opportunities available depending on your interests and aspirations. It's possible to become a clinical coach within general practice, where you'll help and support student veterinary nurses to develop their clinical skills. You could progress from this into a head nurse role, supporting the development of a whole team of nurses. There are opportunities to develop your career and specialise depending on the practice that you work in and your interests. For example, within referral practice, you could specialise in a specific type of nursing care, e.g. anaesthesia, rehabilitation, ward care or diagnostics. Alongside the animal-related work, there are also options for you to progress and specialise in a managerial role such as a practice manager. Outside of practice, you may choose to embark on a related career within education, such as teaching veterinary nurses or lecturing on animal management related courses. There may also be research opportunities depending on your additional qualifications or opportunities arising within pharmaceutical or nutritional industries.